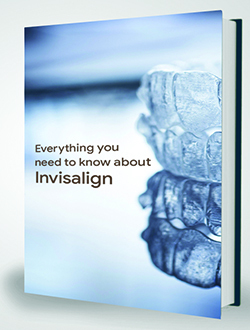 “one of the biggest advances in dentistry in the past 40 years” says the American Dental Association. Different than bridges or dentures, which have to be removed and cleaned outside of your mouth daily and do not look or feel completely real, dental implants are surgically fastened to your jaw. A surgical screw is used in place of the roots your original teeth have to hold the new tooth in. The crown is carefully selected to match the shape and color of the neighboring teeth, so it blends right in. For those who have missing teeth because of disease or injury, implants could bring back your smile more effectively than other possible options. Although, not everyone is a qualified participant who have missing teeth. Oral health is just as important with implants as it is with real teeth for implants to be productive. Healthy gums and strong bone are necessary preceding an implant to support it, and once it’s in, you have to keep it clean by brushing and flossing. It’s normally best to do braces first if you don’t already have your implants but need orthodontics to straighten your teeth. Implants are screwed into your jaw bone and will not move, which can make them great anchor support to help move your other teeth where they need to go—but only if they’re in the right place from the start. Otherwise your current implants might need to be removed and then reattached after you’ve completed with your braces. Whether you are considering getting dental implants or know of someone who is, we can answer any questions you may have about them. We’re here to help you obtain the smile of your dreams! We love our patients!